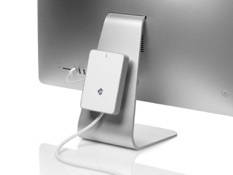 Apple、Thunderboltの脆弱性「Thunderstrike Bootkit」をOS X Yosemite 10.10.2で修正するもよう。 | AAPL Ch. 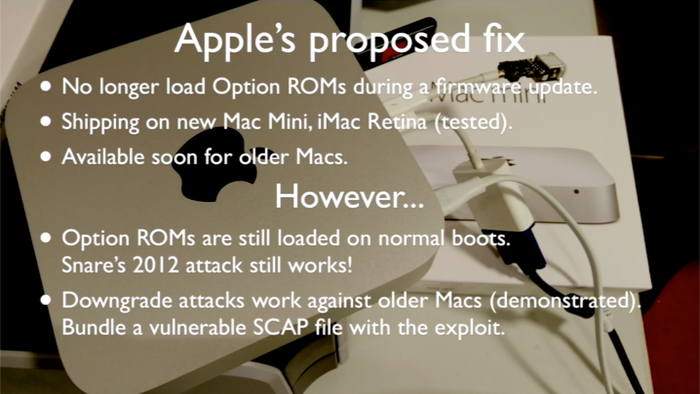 Good news: Looks like OS X 10.10.2 also secures Macs against ‘Thunderstrike’ attacks. To secure against Thunderstrike, Apple had to change the code to not only prevent the Mac’s boot ROM from being replaced, but also to prevent it from being rolled back to a state where the attack would be possible again. According to people with access to the latest beta of OS X 10.10.2 who are familiar with Thunderstrike and how it works, that’s exactly the deep, layered process that’s been completed.